After you view the Halloween Candy Map, check out this one showing the craziest urban legends from each state! 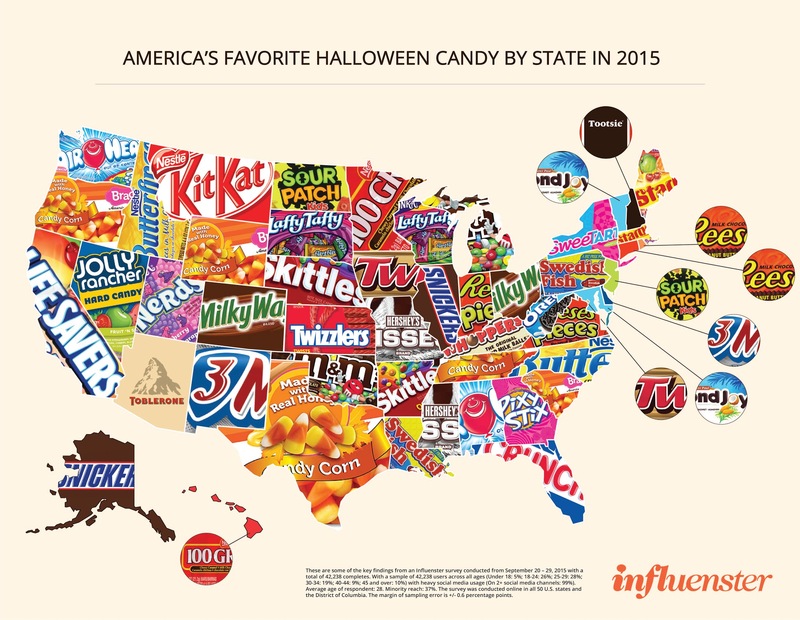 Interesting map showing each state’s favorite Halloween candy. The online survey was conducted in September with a total of 42,238 users. The candy that polled the highest was Reese’s Peanut Butter Cup. On August 21, 2017, the continental United States will experience a rare total solar eclipse that sweeps the nation from Oregon to South Carolina. Taking 94 minutes for the Moon’s shadow to race across the country, the duration of the total solar eclipse can last from 2 minutes near Depoe Bay, Oregon, to 2 minutes 41 seconds (the max) near Carbondale, Illinois, and 2 minutes 30 seconds near Awendaw, South Carolina. This will not happen again in the US until 2023 for an annular eclipse and 2024 for a total eclipse. To help you plan your trip, take a look at these many maps including a 10 foot long strip map of the eclipse path. For more info, click below. The City of Downey has an opening for a GIS Intern. Interested candidates please call Ahmed Husain at (562) 622-6721 or email your resume to ahusain@downeyca.org.